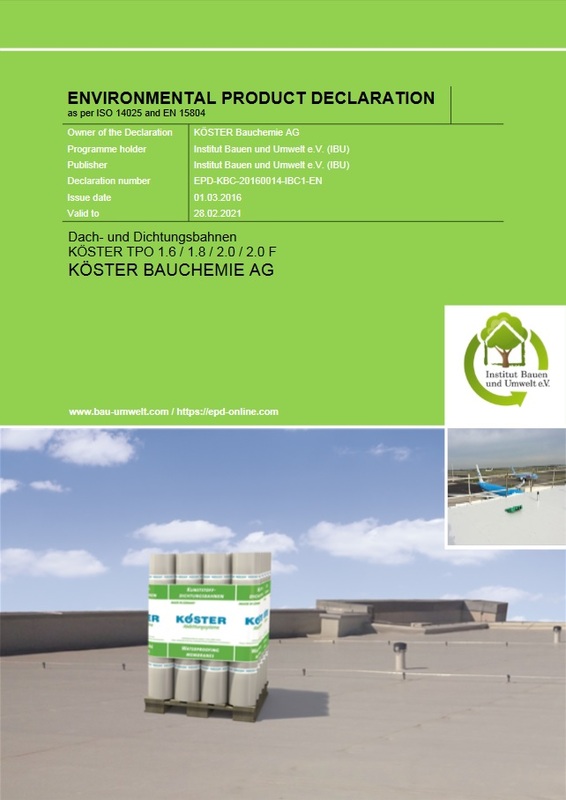 Here at KÖSTER BAUCHEMIE AG we pride ourselves as a socially responsible company with sustainability as one of our main corporate values. We not only offer high quality products which protect and preserve buildings but we also place a high value on environmentally friendly product life cycles. In order to evaluate our products as being ecological, we provide you with the input data of our products in Environmental Product Declarations. These Environmental Product Declarations are in accordance with internationally applicable ISO standards.